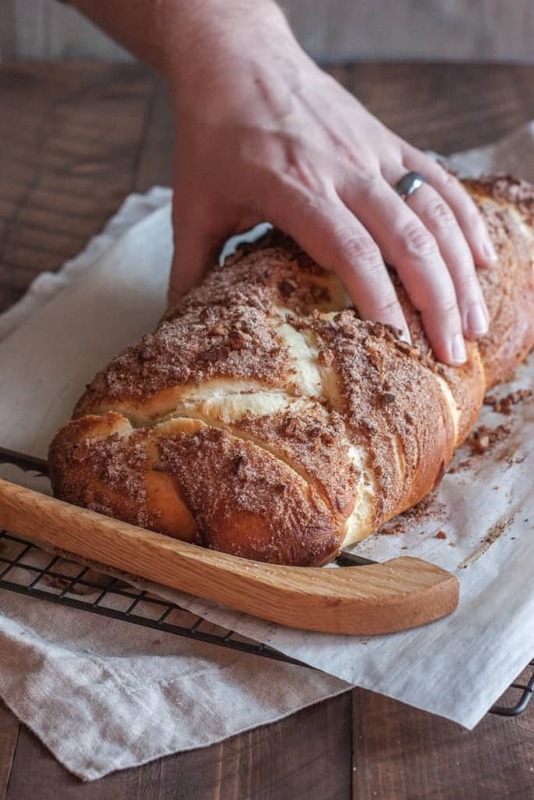 This cinnamon sugar pecan challah braid is a light and airy bread with a sweet and slightly crunchy outer crust that would make the perfect addition to your next brunch or Easter celebration. I feel like I want to do a little happy dance or perhaps just use one thousand exclamation points when I talk about how good this bread is!!! (<- just imagine 1,000) You all know how I feel about cinnamon (hint, it is very positive, it is a ‘cinnamon on everything’ type feeling) so combine that with freshly baked bread, and I’m eternally happy. Bread making is an art. It requires patience. It requires being able to put faith in the fact that the yeast will do its thing. So whenever I am in the bread baking mood, I always seek the assistance and guidance of my father-in-law. He makes bread every weekend for family dinners, and in a very interesting way, makes me not be impatient when bread baking. When normally bread baking for me would involve some cursing and staring, lots of staring, impatiently at the clock. My husband and I will go over to his house, and I’ll talk about the different recipes I want to make and he just patiently sits there until we’ve talked it through and are ready to get baking, then he sets the Red Star Yeast on the counter, and I know we’re ready to get baking. On top of making bread on the regular, my father in law makes breads for specific holidays. Last weekend, I was feeling all the wonders of the beautiful Spring weather, and wanted to bake something that would reflect the light and airy qualities of Spring, as well as be perfect for the upcoming Easter holiday. Something that could be enjoyed all by itself, or would go well on a brunch table. Sweet, soft and delicate, Challah bread is the perfect type of bread that can (and should) be included on brunch menus. And while challah bread alone is great, it is elevated by having a cinnamon sugar pecan topping. The sweet and crunchy topping bakes into the braid crevices, so that when its done baking and you’re slicing the bread, you get little bits of sugar that have caramelized together. 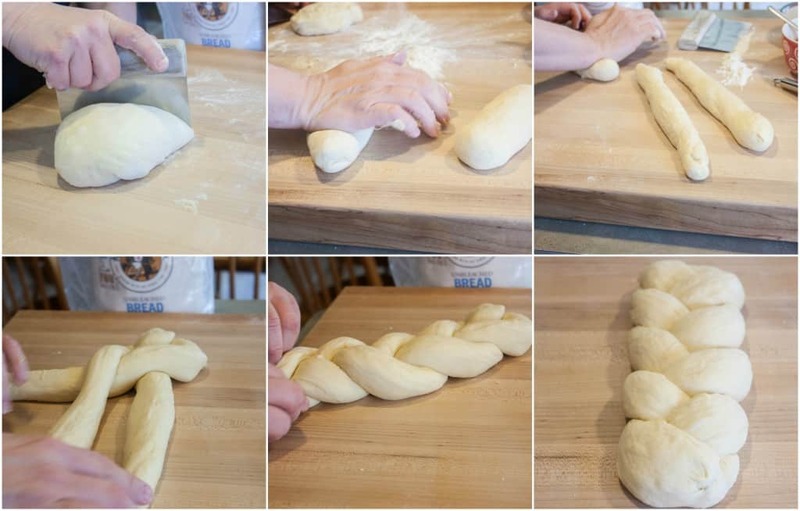 Speaking of the braid…just picture me in the kitchen with my father-in-law, there are three sections of dough all rolled out and ready to be braided…and he (in a joking way) asked me if I knew which piece to start with and how to braid bread. What? Shouldn’t I be asking him that? I broke out in a little sweat and before I could even answer, he had braided the bread. I’m talking like 2 seconds tops and he had braided the entire loaf! He laughed and told me that he used to braid his daughters hair so he was an expert. I can assure you, my braid of bread would not have looked the same. It probably would have been lopsided with some bumps. But whatever your braid looks like, it will taste delicious! And if you follow me on instagram, you’ll already know how fun the photo shoot of this bread was for my husband (click here for the picture.) He had to cut the bread (isn’t that the coolest bread cutting device you’ve ever seen in the pictures? It is a saw-type thing that my in-laws had at their house, it’s specifically used for bread cutting) and then I told him I wanted a picture of him spreading butter on the bread. The sun was shining perfectly, so I didn’t want him to block out the rays of sunshine so he had to couch down. Hahahaha, oh man, that picture will forever bring a smile to my face. I’m happy to report that after getting to try a slice, he said the hardship was worth it! Start by microwaving the water to warm it, about 1 minute. You want the water warm, but not hot, otherwise it will kill the yeast. 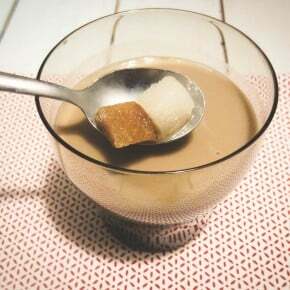 Remove water from microwave and pour in active dry yeast and a pinch of the sugar, and allow to sit for 5 minutes, or until foamy at the top. In a small bowl combine eggs and vegetable oil and whisk together with a fork. Pour in the yeast and water mixture and stir a few times until combined. 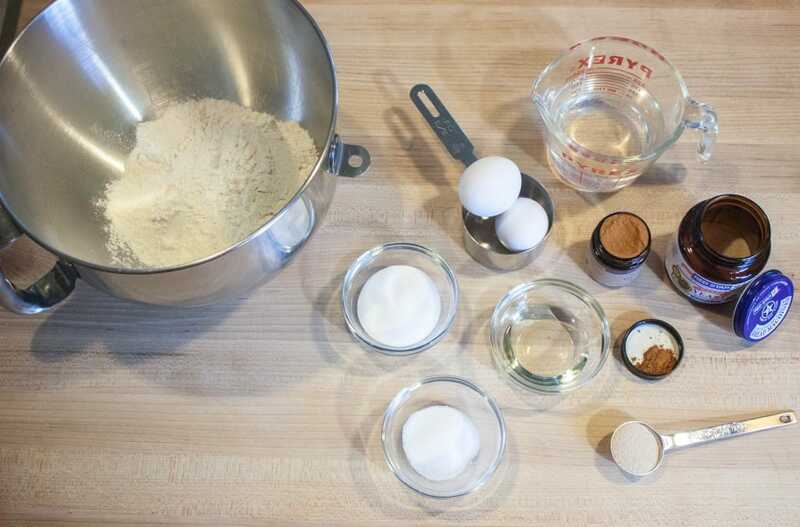 In the bowl of a stand mixer add the flour and sugar and with the dough attachment set to speed two. Gently pour in the liquid egg/oil/yeast mixture and let mixer run for 5 minutes, until well combined and a sticky dough forms. Generously flour a surface, remove dough from the mixing bowl and knead it by hand for 2-3 minutes, then place in a bowl and cover with plastic wrap. Allow to rest for an hour, or until doubled in size. Turn dough out onto floured surface and cut into three pieces. Roll each piece of dough out so that there are three equally long pieces (about a foot and a half in length each.) Then pinch the edges together and braid the three pieces (when you start the braid, first the left side will go over, then the right side over that, and then the center.) Place braid on parchment paper lined baking sheet. 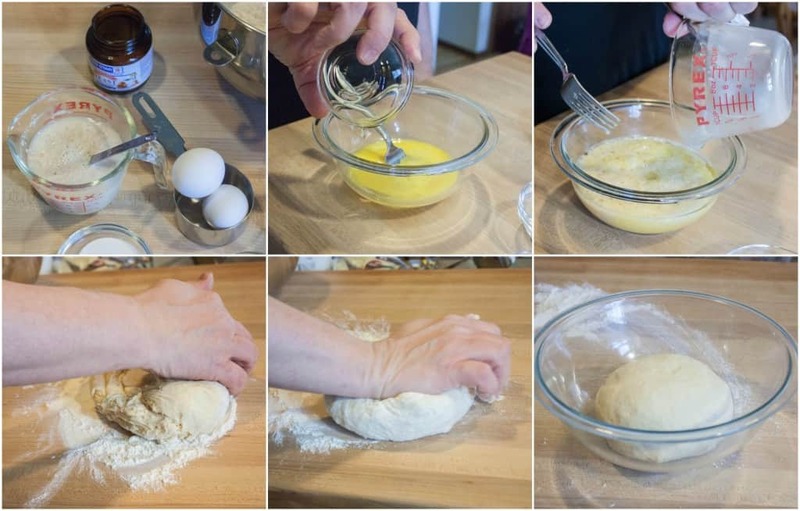 Make the egg wash by cracking an egg in a bowl and using mostly the egg yolk and a 1/2 teaspoon of water, whisk together, and then brush on top of the braid. Chop up the pecans and stir together with the cinnamon and sugar and sprinkle the mixture on top of the egg wash.
Let the braid sit for 30 minutes, then preheat oven to 400 and bake for 20-25 minutes, until the top of the bread is golden brown. Remove from oven and allow to cool, then slice and enjoy! 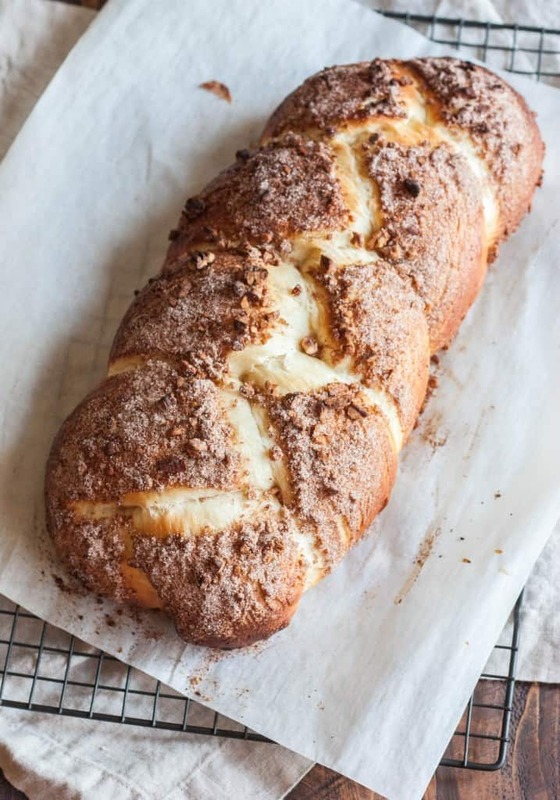 Next weekend be sure to include this cinnamon sugar pecan challah braid into your brunch plans, it is fantastic by itself with a little bit of butter or marmalade, or would work perfectly for french toast like these 5 ingredient french toast sticks I just made. Do you bake bread for Easter? Want some more bread inspiration? Check out Red Star Yeast on facebook, pinterest, and twitter. Wow, what a compliment, thank you so much for your lovely comment! Oh this looks so so good! I know how you feel, if I need a hand in a picture I have to direct AJ to an exact spot, ha! Hahaha, aren’t amazing men hand models the best? This bread was super delish, thank you for commenting girl! Awe, thank you so much!! That sweet crunchy topping is what totally takes the bread to the next level! I love making break, and I LOVE cinnamon! I need to try making this gorgeous loaf. Pinned! Cinnamon is the best, isn’t it? And especially on homemade bread! Thank you so much for the pin! I don’t bake bread nearly enough and I’ve never baked a challah, but I feel like I need to change that. 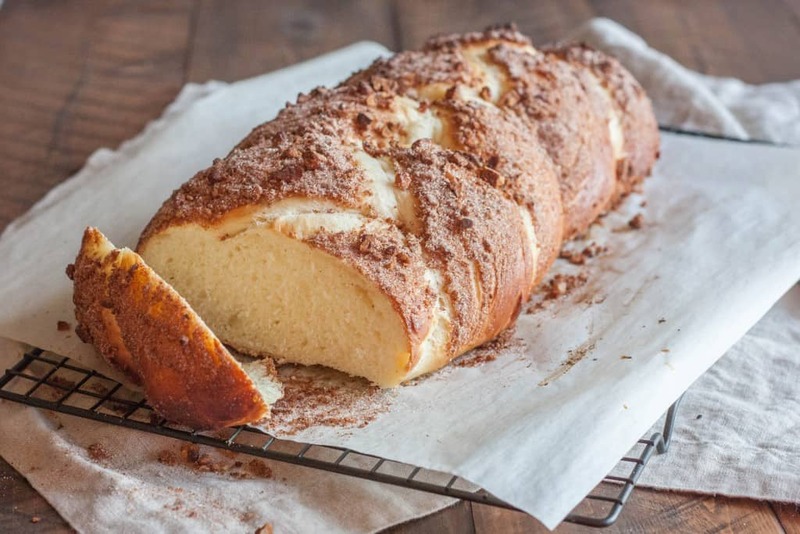 There’s nothing better than cinnamon sugar bread! 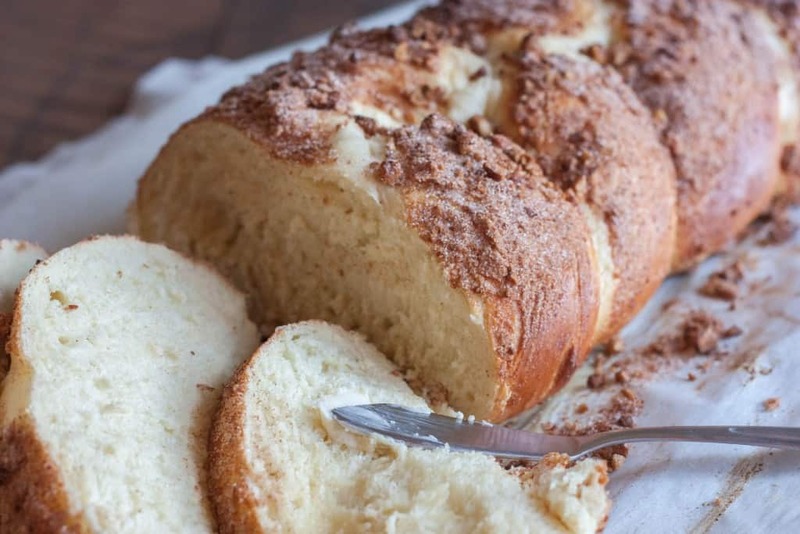 You’re so right, there is nothing better than cinnamon sugar bread! Thank you so much for commenting Sues! These pictures are beautiful! Annnnddd…I want a piece of that bread. Right now! It looks so soft and fluffy. Loved your story – it is such a blessing having fun in-laws. This bread is beautiful! 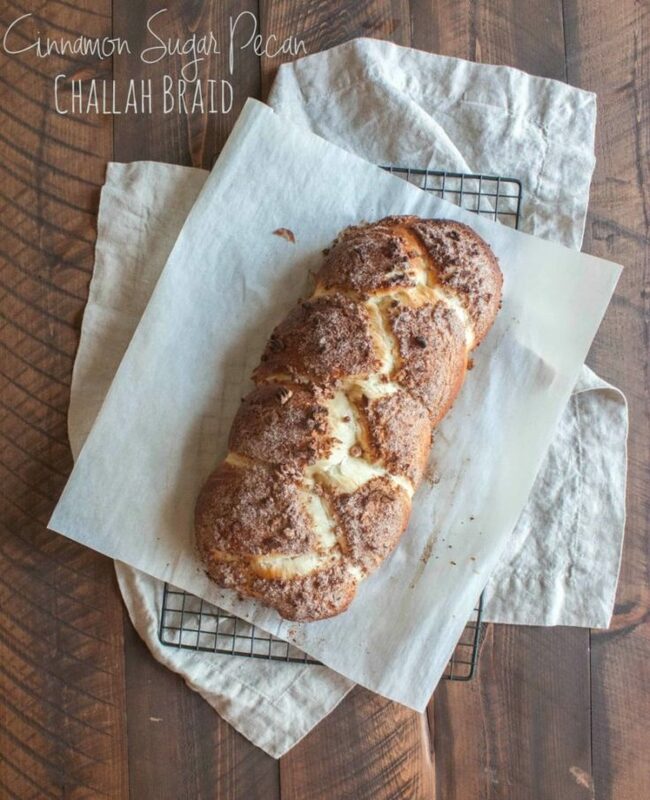 I’ve never had challah but I’ll definitely try my hand with this one!! Um, hello. Where has this been all my life?!? It should be illegal to make this for someone with a sweet tooth. lol…I can already picture myself eating a piece (or 10) with some coffee for breakfast. YUM. I am 100% sure that this bread is absolutely as fantastic as your happy dance says it is. It is beautiful! Bread baking is a passion of mine. It’s something I do when I want to feel really connected to what I am doing and with the ingredients so I appreciate this challah sooo much. 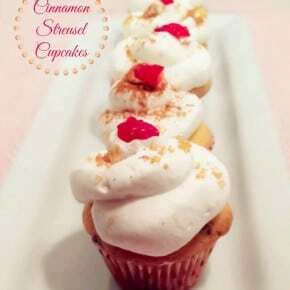 The cinnamon pecan topping is screaming my name, I’m trying not to bite my phone right now. Oh and that bread slicing thingy? Yeah, I need one of those! Thank you so much for your lovely comment! I’m glad I’m not the only one that find baking cathartic! And isn’t that bread slicking thing amazing? As soon as I saw it I knew we had to use it in the pictures! I love the way this bread looks! But I’ve tried making it twice now and both times my bread doesn’t rise! I admit to being a baking novice (I’ve only made bread a handful of times) but I’m not sure what I might be doing wrong. I followed your recipe exactly both times but I was hoping you might have suggestions? Thank you so much for your comment, I’m so sorry to hear that your bread isn’t rising. There are a few things I can suggest…the water for the yeast should be warm, not hot. If it’s too hot it will kill the yeast. I always put the yeast in the water with a little of the sugar to make sure that it is live, make sure to let it sit so that it gets bubbly. Also, you may want to try the quick rise yeast, and keep it in the refrigerator, hope that helps, I’ve updated the recipe with these notes too. This recipe was a nice change to a familiar bread. The family all loved it and I doubt there will be any left tomorrow. Instead of doing mine as a straight braid, I braided a circular design and when it was done, put soft serve ice cream in the middle section to dip hot bread pieces into. I’m so happy to hear these, I love how you made it into a circular design and served it with soft serve ice cream in the middle, I’m totally going to need to try that, thank you for sharing!